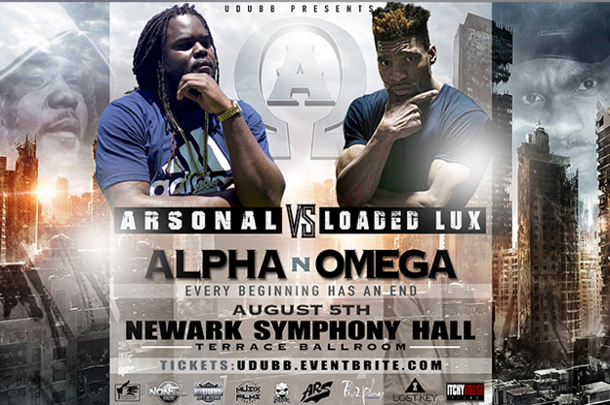 In the first battle announcement for their upcoming "Alpha n Omega" card, UDubb announced a main event of Loaded Lux vs. Arsonal. This marks Lux's second battle with UDubb, his first being a 2012 clash with Hollow Da Don, which many regard as one of the best battles of all time. For Arsonal, who announced last year his intention to retire from battle rap, it marks a huge opportunity to take on one of the greatest of all time and further cement his own legacy as one of the GOATs. If this matchup is any indication of the calibre of battles that will be going down on "Alpha n Omega", it could end up being the biggest card of the year. The card will go down on August 5 in Newark, N.J. and will have a live pay-per-view, which can be purchased here.